Through twenty-five years of working with people with diabetes, when they come in for diabetes education, their first question is most often “What can I eat (or drink).” The next question is often, “What can’t I eat (or drink)? 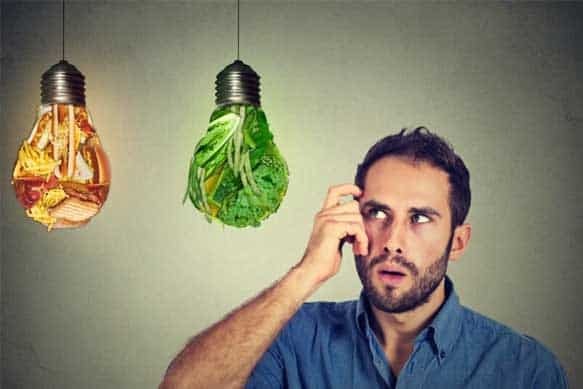 In this article, we will explore what foods are best to eat when you have just been diagnosed with Pre-Diabetes, and Type 2 Diabetes, and what foods are best avoided. There is no other guide available on the internet that will guide you through the best foods to choose, and the best foods to avoid. Take heed, as some foods in the American diet are detrimental. These are also the same foods that Americans are addicted to. 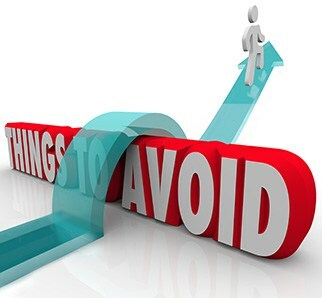 On occasion, you will be able to eat from the foods to avoid list, such as on a holiday, or your birthday. It shouldn’t become a regular occurrence to eat foods that are best avoided if you have Pre-Diabetes or Type 2 Diabetes. Also, eating healthier throughout your lifespan, can prevent Pre-Diabetes and Type 2 Diabetes from ever surfacing at all. Starting to eat a healthy diet can help you to reverse your Pre-Diabetes, along with regular physical activity, and sometimes medication (most often Metformin). You can either get Type 2 Diabetes in good control, or you can reverse it to a Pre-Diabetes state in some cases, if you work on healthy lifestyle changes. Though it’s not always possible to reverse Type 2 Diabetes, it is certainly worth a shot. My new book to come out soon, entitled, “The Practical Guide for the Reversal of Pre-Diabetes and Type 2 Diabetes,” published by The Diabetes Council, will explore this topic in depth. Stay tuned! Knowing which foods to eat, and which ones to avoid, can help you to manage your blood sugars, and avoid the long-term complications of diabetes. Keeping your blood sugars in your target ranges will help you to feel better on a daily basis also, as elevated blood sugars can make you moody, and even depressed. This can affect your performance in school, or a work. Overall healthy choices over the long haul make the biggest difference, along with counting the carbohydrates in foods that contain them. Eat a variety of whole grain foods, seeds, nuts, low-fat or lean protein foods, and a small amount of good fats, and fresh fruits every day. In general, keep carbohydrates to your recommended amounts. Stay away from soft drinks, sugary candies, processed foods, such as chips. Carbohydrates are also found in breads and grain foods, pastas, rice products, milk products, other sweets and confections, fruit and fruit juices, as well as in starchy vegetables such as potatoes, corn, and beans. What you should avoid are fats that are considered unhealthy, such as Trans Fats, processed and refined sugars, liquidy sugars, grains that are not whole grain, and are heavily processed, and any other foods that contain refined carbohydrates. Work with a Certified Diabetes Educator to determine how many carbohydrates you need at each meal and snack. Generally, carbohydrates per meal for women are 30-45 grams, and men should have 45-60 grams at each meal. Snacks should be 15 grams for women, or 15-30 grams for men. Your CDE or doctor may want you to eat a different amount of carbohydrates, based on your individual needs. Even when you eat healthy foods, you must watch the portions. 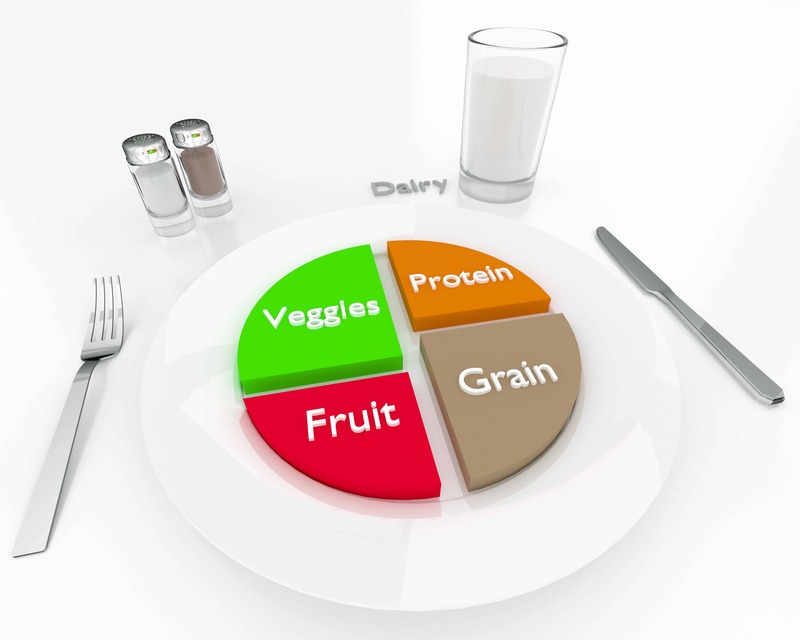 Using the 9-inch diabetes plate method may help you to keep track of portion sizes. Using your hand to estimate portions, measuring portions, and reading labels for portion sizes can also help you keep your portions in control. One good example of this is a large, healthy-appearing salad that you get from your favorite restaurant. Request the nutritional information, and you will be surprised that though a salad is healthy, there are many different and varied ingredients in the salad, and combined with the dressing, the salad may be way off the charts in terms of carbohydrates. Nutrition is tricky. Let’s help you make some sense of it. Sugar from metabolism of carbohydrate-containing foods breaks down during the process of digestion in the stomach. The sugar enters the blood, and then travels to the body’s cells to be used for energy. If there is not enough insulin, or if the insulin is not working properly, as is the case in Pre-Diabetes and Type 2 Diabetes, then blood sugar levels remain high, and blood sugar doesn’t get into the cells to be used for energy. The high levels of sugar in the blood cause damage to body cells and organs over time. Sugar is necessary for life, but when our body doesn’t process it correctly, then we can develop health problems from high sugars. The following is a list of lower glycemic index foods from each food group, which will help to keep your blood sugar in your target ranges. Low glycemic index foods don’t raise your blood sugar as fast as high glycemic foods, and that’s important when you have Pre-Diabetes or Type 2 Diabetes. If you don’t eat the right foods most of the time, it can cause you to have high blood sugars, which over time, leads to inflammation of tissues, increasing the risk for cardiovascular complications and other complications from diabetes. Conversely, if you eat the wrong foods on a rare occasion, such as the holidays, you will still be able to get good management of your blood sugars, and live healthy with your diabetes. You may be able to reverse your Pre-Diabetes or Type 2 Diabetes. This is not possible in all cases, but it is possible for some people. Foods that contain carbohydrates, either simple or complex, break down in the body to sugar or glucose molecules. Therefore, of all the macronutrients that we need, including carbohydrates, fats, and proteins, carbohydrates break down to sugar the fastest, therefore they have the most affect on blood sugars. Carbohydrates are found in all foods that are classified as sugar, fiber, or starches. Fiber, however, takes longer to break down into sugar. Though we watch our amounts of carbohydrates when we have diabetes, we still need a substantial amount of our food intake to be from carbohydrates. A small baked sweet potato is also a good source of fiber, and healthy carbohydrates. Remember that these foods are still carbohydrates. Therefore, you must count them toward your allotted carbohydrates at meals and snacks. Vegetables in a harvest bounty of colors and varieties are a great way to get fiber, with very little carbohydrates, fat, or sodium (salt) content. Remember that for starchy vegetables, such as potatoes, corn, and beans, you must count carbohydrates. For all intensive purposes, vegetables that are not in the “starchy vegetable” category, are considered “free.” In other words, you don’t have to count the carbohydrates in these vegetables because there are so few carbohydrates in these foods. Fruits and fruit juices do have carbohydrates. Fresh or frozen fruit is better than canned fruit, although fruit canned in water, or its own juices is okay. You may want to rinse excess sugar from the juice off the canned fruit. Avoid juice, except during an episode of low blood sugar, where four to six ounces should be enough to correct it, at about 15-20 grams of carbohydrates per serving. Fruit is a good high-fiber choice when you need something sweet, as opposed to a high-sugar dessert. They can curb sugar cravings for sweeter foods, and by choosing them well, you will get a variety of vitamins, minerals, and antioxidants from fruit. Fruit smoothies can be a healthy option if they are made with healthy ingredients, not too many carbohydrates, and they contain protein, such as yogurt. Protein will help slow blood sugar spikes. Fresh fruit is the best option. It is higher in vitamins and minerals than frozen or canned fruit. It’s a good idea to visit a fresh produce stand, or a farmer’s market to get the best fruits in season. Frozen fruit with no sugar added to it is the next best option. When the fruits that you like are no longer in season, pick up some frozen fruits to make sure that you get enough of this food group. 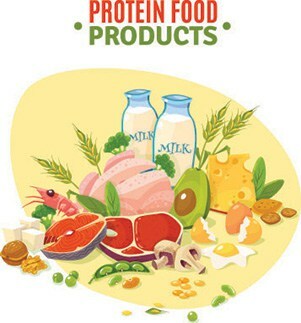 Protein foods are necessary for a healthy diet. They help you to feel full, and you don’t have to count carbohydrates for them unless you put a sweet sauce on them, or bread and fry them. The best way to have your protein is baked, grilled, or broiled. Lean protein foods have fewer saturated fats than meats that are more “fatty,” such as bacon. When you are a vegetarian with diabetes, it can be a little more challenging to get your protein foods. Low-fat dairy products are fine for diabetes in moderation, and eating a few servings a day can help you to lose some weight. When you have diabetes, it’s best for your heart to avoid fats are saturated, or Trans fats. We all need some fat to carry our vitamins and minerals around, to help us feel full, and even to lose weight. The best fats for people with diabetes are monounsaturated fats, followed by polyunsaturated fats. A large majority of the time, drink water. You may have diet drinks, or unsweetened beverages. You can use artificial sweeteners in your drinks, as benefits outweigh any risks of using sweeteners with diabetes. You should avoid having too many starches or carbohydrates of any kind. It won’t matter that you are eating the right kinds of carbohydrates, if you eat too many. There are also unhealthy versions of almost every food. Starchy vegetables are not like the vegetables on the list of foods to eat with diabetes, but they can be eaten in moderation. You should count carbohydrates when you eat these foods. Avoid dried fruits. They have had the water taken out of them, and they are very concentrated with high sugar content. A serving size of dried fruit would only be about a tablespoon, so it’s important that if you do eat it on an occasion to keep portion sizes very small. Canned fruits are not the best choice for diabetes. If you must pick up canned fruits, get them packed in water or in their own juices, and rinse them off. Juices don’t have any of the healthy fiber in whole, fresh fruits, and they have high sugar content, so avoid them as well. We must have carbohydrates for energy. That said, we must choose wisely when we have diabetes. Try protein and non-starchy vegetables for snacks, instead of high carbohydrate snacks. Bacon and other meats that are smoked, or processed contain lots of salt, too. Salt can increase your blood pressure and lead to heart disease. Avoiding things like processed deli meats, ham, bacon, bologna, and the like will help you keep your salt content in a better range. These meats are often also high in saturated fats. When you bread and fry your meat, you add carbohydrates to a naturally low carbohydrate food. You also add fat. That’s not to say that you can’t occasionally eat a piece of fried chicken, or a fried pork chop. Remember that when you do, you should eat the rest of your meal in low carbohydrate vegetables. You have already had your fat serving, and probably all your carbohydrates in just one portion of fried meat. It’s not that much bang for your buck. Lean cuts of pork are fine with diabetes. Choose center cut, boneless pork chops, or a tenderloin roast. Sliced pork chops and other pork cuts are sometimes high in fat, so it’s best to stick with leaner cuts, or trim excess fat off of your meats. Deep fried fish and tofu tend to cancel out any of the good the fish or healthy tofu may do. However, if you wish for an occasional piece of fried fish, or other seafood, then you can have it. Treat it about like the fried chicken we talked about above. Meats that are not lean, and contain visible fat marbled through the meat, should be avoided most of the time. They are high in saturated fat. Full-fat dairy products are not the best for diabetes. Try organic milk for a richer tasting non-fat milk, or start by moving gradually from higher fat milk to fat-free milk. In regard to milk, 1% or 2% organic milk can be tried for the richer taste. Some people complain that skim milk tastes like water, and this is an excellent tip to get you off high-fat milk. Trans Fats should be out of our food chain by 2018. Until then, avoid foods that contain partially hydrogenated oils. Drinks can be loaded with sugar. When I hold up a 16-ounce Coke, showing that it has a full 15.5 teaspoons of sugar, that usually gets the attention of a person with diabetes. Many beverages have high sugar content. They are even more surprised when they see a 20-ounce Mountain Dew with 18.5 teaspoons of carbohydrates. When they learn to count carbohydrates, they realize that drinking 4-20 ounce sodas per day is why their blood sugar is so high. Often, stopping sweetened drinks, and sodas can end up helping the person with newly diagnosed Pre-Diabetes or Type 2 Diabetes get things under control, or even reverse their condition. Sometimes, they are drinking so much sugar, that their pancreas starts to wear out. Coffee with sugar, or flavored coffee drinks such as cappuccino, Frappuccino, etc. Can Diabetes Cause Sexual Dysfunction in Men and Women? We hope that you have learned the best foods and the worst foods for you to eat with your newly diagnosed Pre-Diabetes, or Type 2 Diabetes. 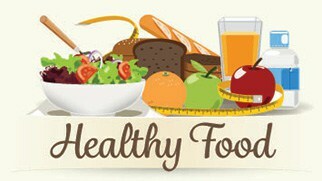 Remember that when we have diabetes, we must make some healthy lifestyle changes. Eating healthier is part of it, as is getting regular physical activity, and taking medications for your diabetes if your doctor prescribes it. Let us know if this list helped you to figure out what to keep in your pantry, and what to leave on the store shelf. If you feel that we left anything out, you can comment about that too, in the comment box below. I was just going through what to eat and this is pretty much how I eat- my last A1C was 6.7 and my doctor was pleased with that – my nuttitionist says to follow the Canada Food Guide and eat in portions-and that seems work fine- all foods in moderation- just don’t eat some of those things on an on going basis- anything with sugar like baked goods, ice cream , rich desserts- and not by themselves but with a meal so that the sugar gets slowed down …I like your posts – keep them coming!! That’s fantastic. It works if you work it! Thanks for sharing! Excuse my typos! Replying on my cell. I’m all thumbs! Same for me. This guide is so accurate to what my dietitian suggest me to eat. The hardest is to stay away from red meats. I crave a good juicy steak time by time. There is a list of high uric acid foods that you shouldn’t eat with gout. 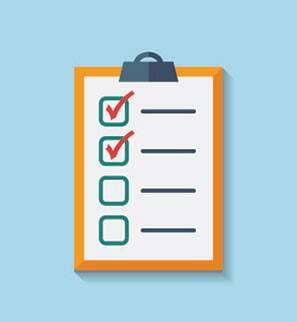 Your doctor or nutritionist can provide you with a list to avoid for gout. Eat a whole food plant based diet minimal packaged foods, no animal protein or dairy products. This will help your gout, diabetes, inflammation, heart, insulin resistance. I’ve had type 1 40 years and optimally well. I’ve worked as a health and wellness coach for the past 10 + years. What about Type 1? Can this apply to Type 1? I understand its imperative I take my insulin but can these foods still help me in a way or another? I was diagnosed ages ago and been on insulin but want to find some other ways to manage my blood sugar. Would you say these foods you have mentioned are also good for psoriasis? Yes, the ADA guidelines for carb amounts apply to Type 1 also. The CDE or Doc should determine your insulin to carb ratio for your pump or injections to balance insulin with carbs eaten. Your doc may have specific amounts of carbs they ant you to consume based on insulin prescribed, so ask how many carbs they want you to eat at each meal and snack. The trick is get enough insulin to cover the carbs while keeping A1c and bllod sugars in target. I’m not sure about psoriasis, but I will research it tonight, and get back to you with answer tomorrow. I am overweight and also a diabetic. Eating carb is a no no for me, it spikes my blood sugar. I have tried keto diet but it bugs me i can’t eat foods that i like. Since i found out i have diabetes type 2 I have tried everything, and i do my best to keep it easy, simple and balanced and that works for me. Thank you for your list of foods. Glad that it helped you. Everything in moderation is a good rule to follow. You can stay low in carbs and still have some enjoyable foods! You guys need to educate your author about keto/low carb high fat eating. I believe the root of all evil for us diabetic is the standard diet promoted by ADA and other big sites. Ms. Almekinder promotes ADA agenda, talk about lchf eating. There are two schools of thought on this. This article is based on ADA. We would do one on keto only, but there is not enough demand at this time the editors think. However, I’m well versed in keto diet. There is a lot of demand Elisabeth. All one needs to do is visit Facebook groups or gyms. There are millions of people on the ketogenic diet–including me–and it does wonders. The zero carbs diet (only animal and seafood products) is a great alternative as well. It would be great to get a super highly informative ketogenic diet guideline out. I am looking forward to one. Stay tune then for super low carb keto friendly cereals and flour articles coming up. You might like those. That said, please be followed by a nutritionist or doctor if you ketodiet. We need more research. I know people who have gone overboard on keto with too much fat and had cardiovascular issues and strokes. There needs to be more research, and patients following it should be followed medically. We do need more research…. I just started the KETO diet it was recommended by my endocrinologist and so far so good and down 15 pounds . FBS down by 40 points. I would say I am winning. This article has been extremely helpful. Would this also apply for those who have prediabetes and are on the cusp of diabetes 2? I am worried I will get diabetes 2 if I am not careful. Yes, this article is for Pre-diabetes as well as Type 2 Diabetes. Glad you found it helpful. Really interesting article. This is written at the perfect time. I feel like doing an appopriate diet for diabetes isn’t too hard but during holidays such as Christmas it can get hard. Especially you have a big family and not everyone has diabetes. So I recommend people to be careful during the holidays while having fun. Remember to share them around your social media, and let everyone know about the good information we have here. Thanks for sharing your thoughts on our article. I have trouble digesting lactose and have been drinking almond or coconut milk. Is one or the other a better option for me now that my doctor has diagnosed me as pre-diabetic? I prefer almond milk. Coconut has some affect on LDL cholesterol. Thanks for your question. Macadamia milk is tasty also.